For when that little “ding” just isn’t enough, there’s the Webmail Window Email Notifier. With this gizmo, you can let the office know just how popular you are, because when they see it flashing like crazy, they’ll start to recognize your worth…or just how much junk mail you receive. 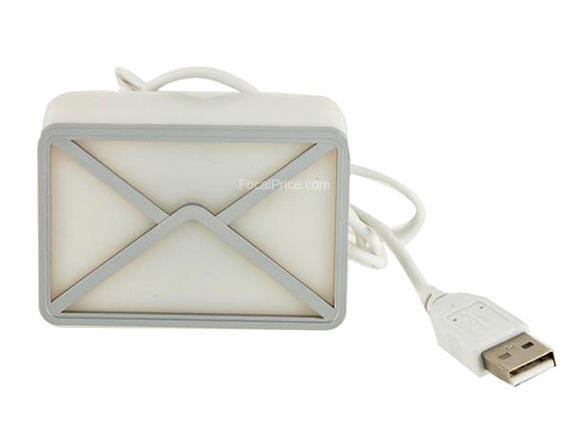 The cute computer accessory syncs up with your email account and will inform you every time you receive a new message. It supports Gmail, Yahoo, Outlook, Outlook Express and POP3. Just don’t blame us when you’re tossing it across the office in frustration every Monday morning. Bought one of these from Focal Price like suggested. It took two months to receive, it was a knock off, and it didn’t work. After doing research into the product I found that it was a knock off of Dream Cheeky’s version. I suggest you change the link to help others. Otherwise they will fall for the same ploy.